Dress up your roast for the holidays with an extra-special sensational sauce. 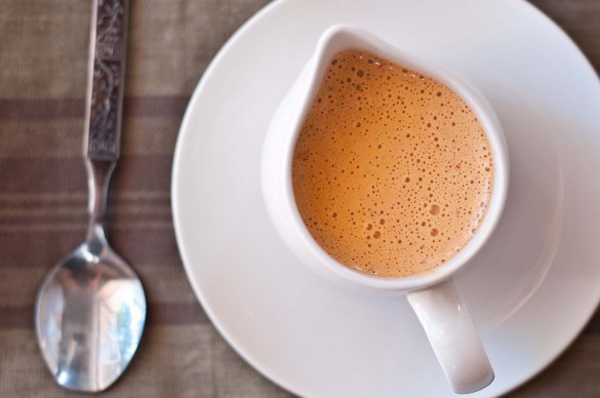 Silky cognac sauce makes roast pork and chicken taste like a dream come true. 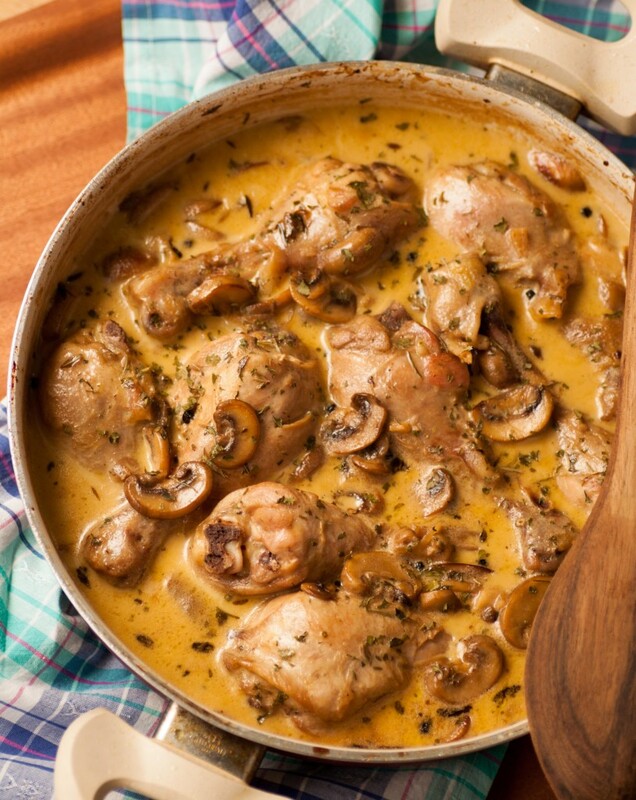 Buttery, zingy mustard sauce is just the thing to make chicken and pork sing. 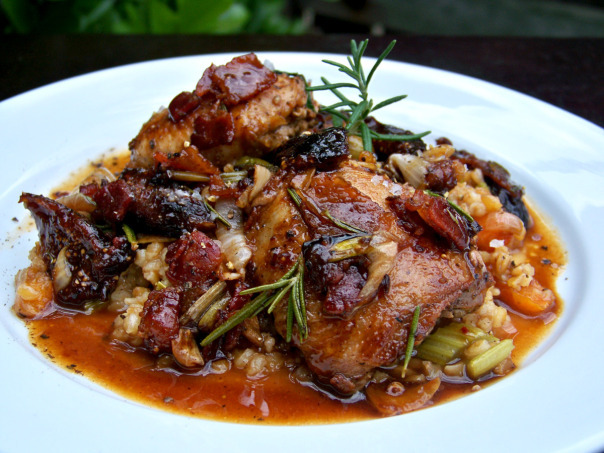 Savory, smoky and slighty sweet, try this bacon and fig demi-glace with roasted duck or chicken. 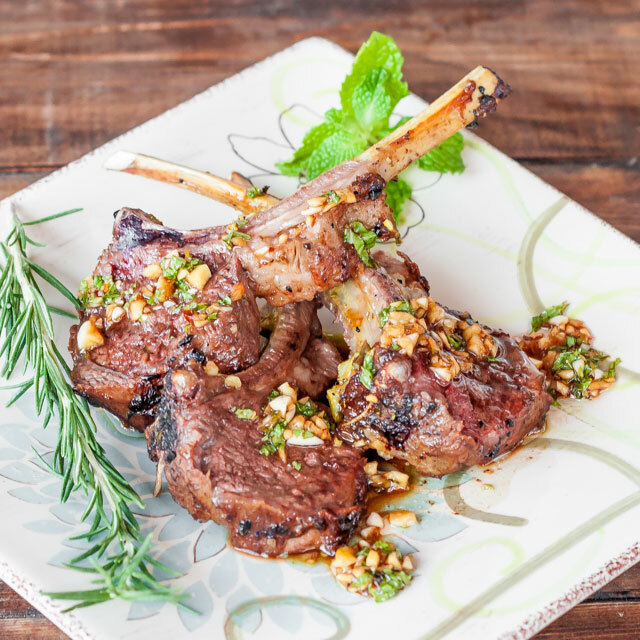 Mint sauce is traditional with lamb, but this garlicky version adds a nice zing to pork and chicken too. 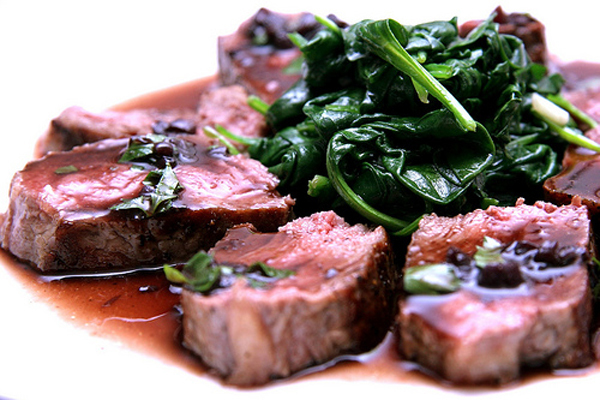 Rich bordelaise sauce, made with red wine, will make roasted beef and pork taste like a million bucks. 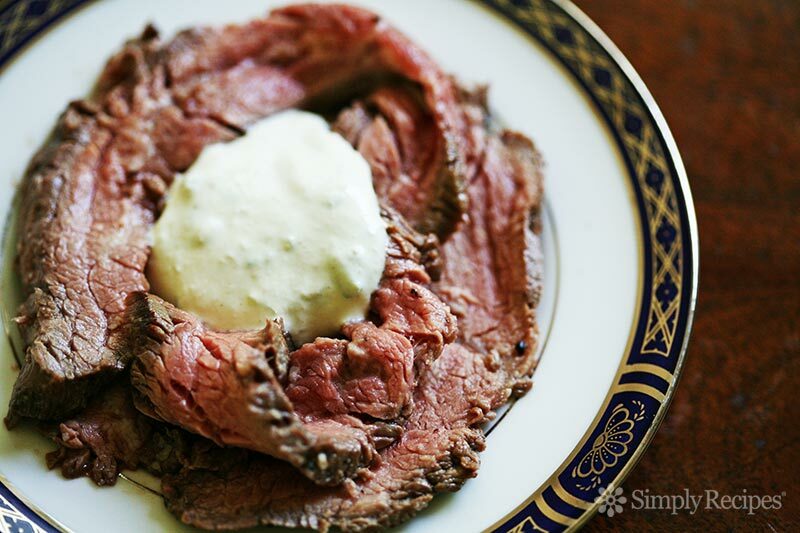 Pungent horseradish sauce is just the thing to balance out rich or fatty cuts of meat. 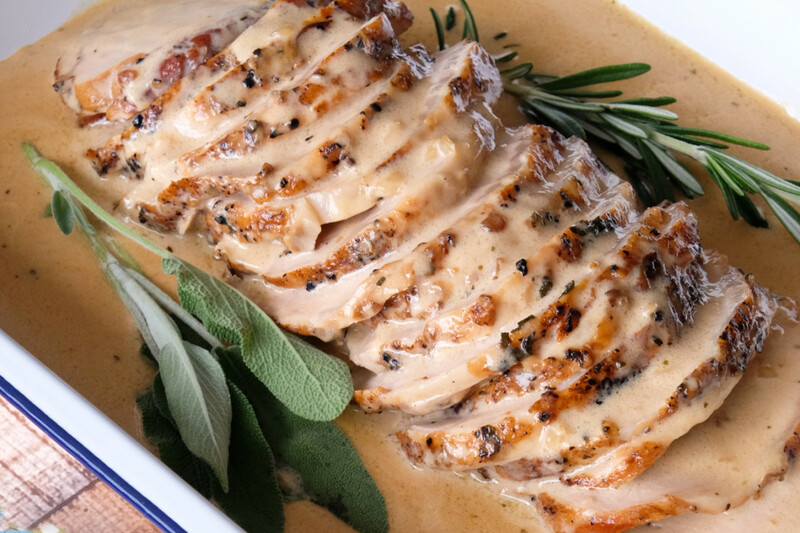 Fresh herbs, olive oil, garlic and lemon make this “magic” sauce perfect for roast chicken, beef or pork. 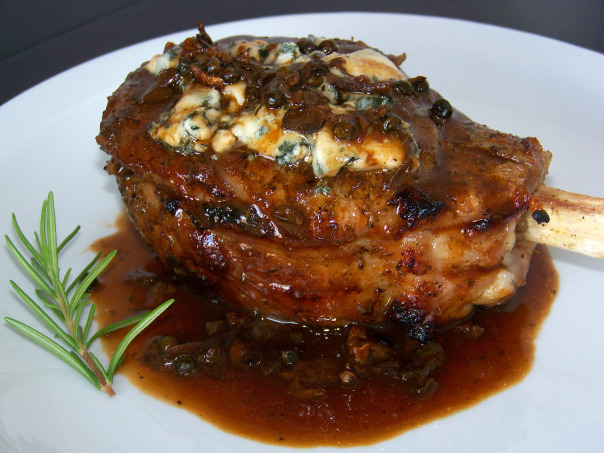 Pungent blue cheese sauce is a perfect pair with beef, and it goes nicely with roast pork and chicken too. 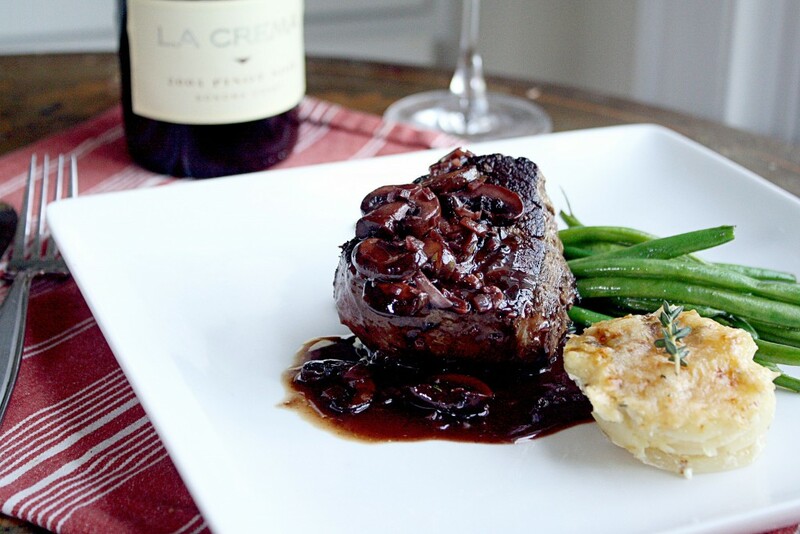 Store-bought veal demi-glace adds dimension to this cabernet and mushroom sauce for beef. 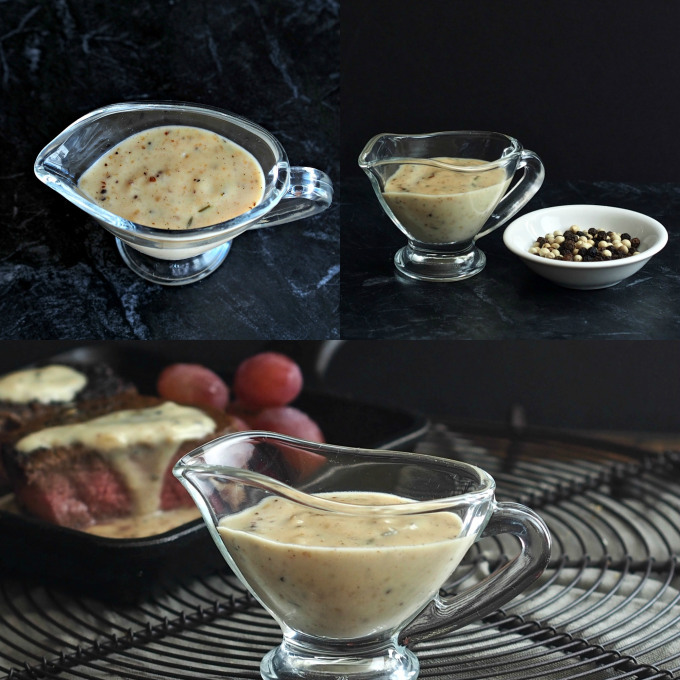 Prime rib, steak, roast beef and even pork chops would benefit from a drizzle of this sauce. 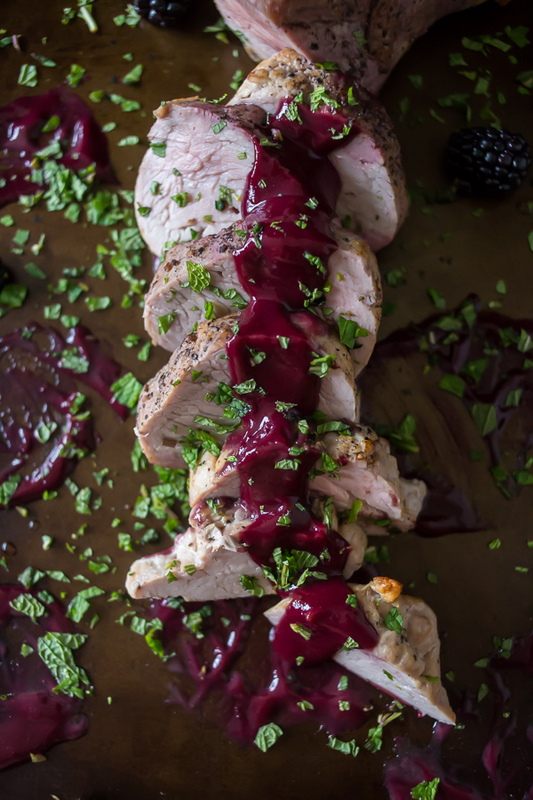 Pork loves sugar, and this sweet blackberry-mint sauce will enhance its flavor in spades. 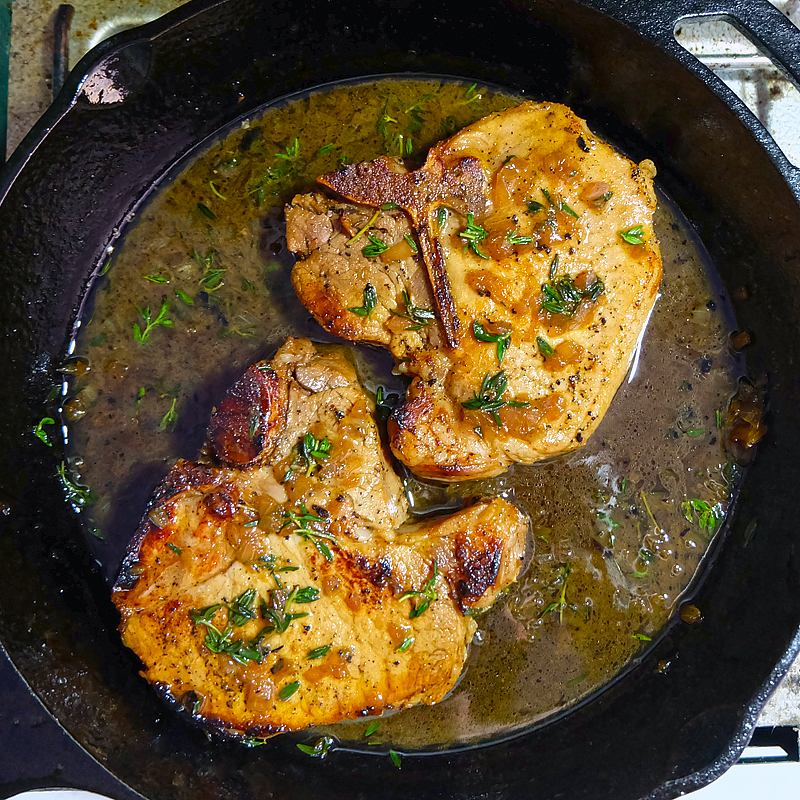 Use this technique with pork or chicken to make a luscious apple-thyme pan sauce. 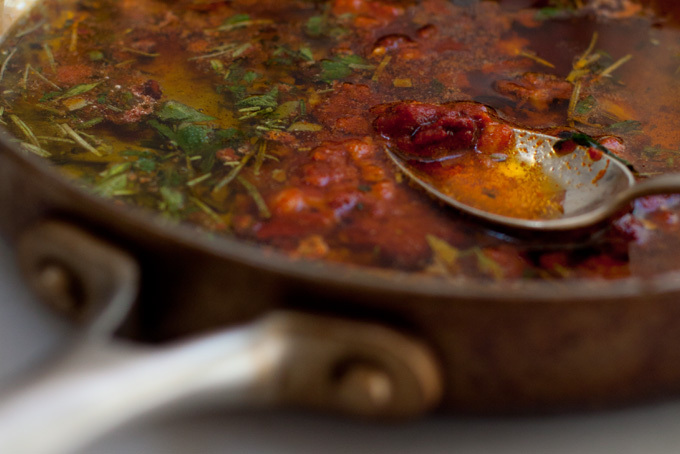 Dark, rich flavors abound in this sauce, which pairs well with beef and duck. 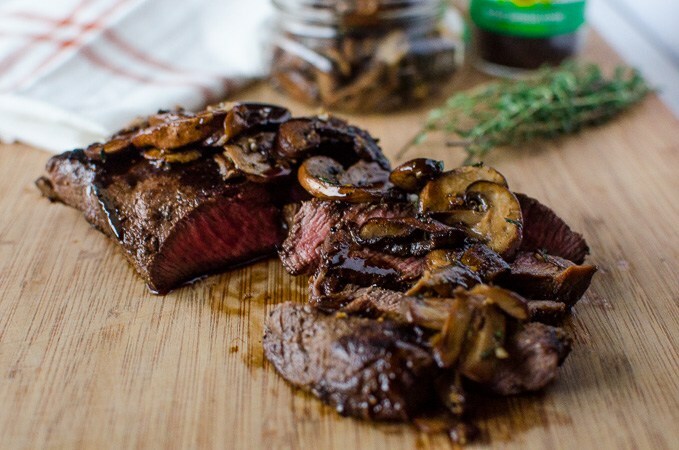 Rich and zingy, this green peppercorn and mushroom glaze goes well with beef roasts and chops. 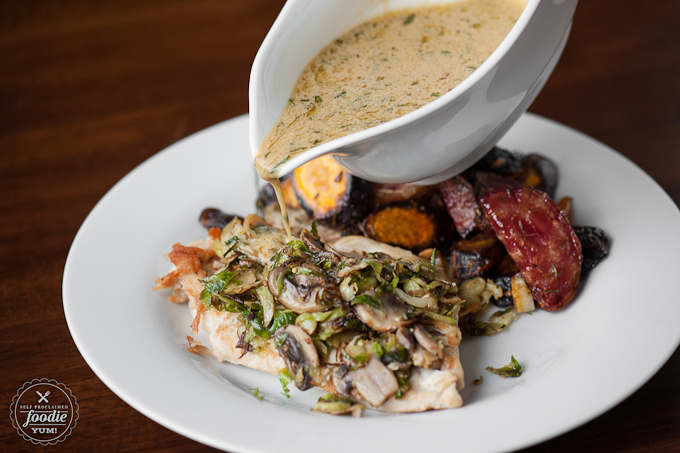 Mushrooms give this sauce heft and an earthy flavor. 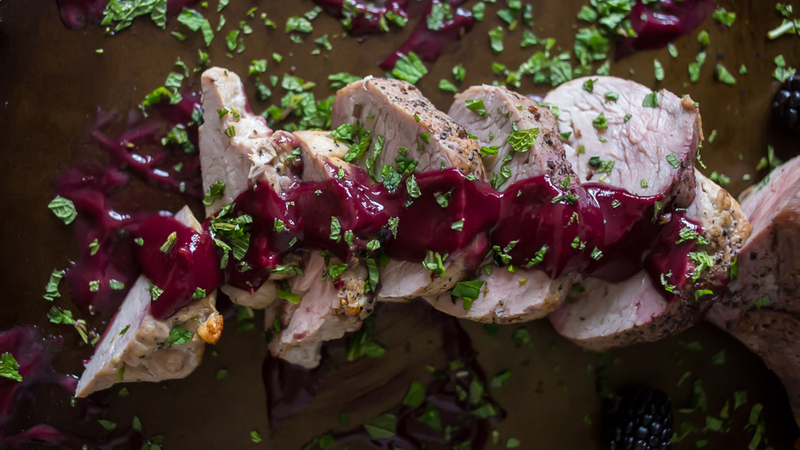 Pair with poultry or pork chops. 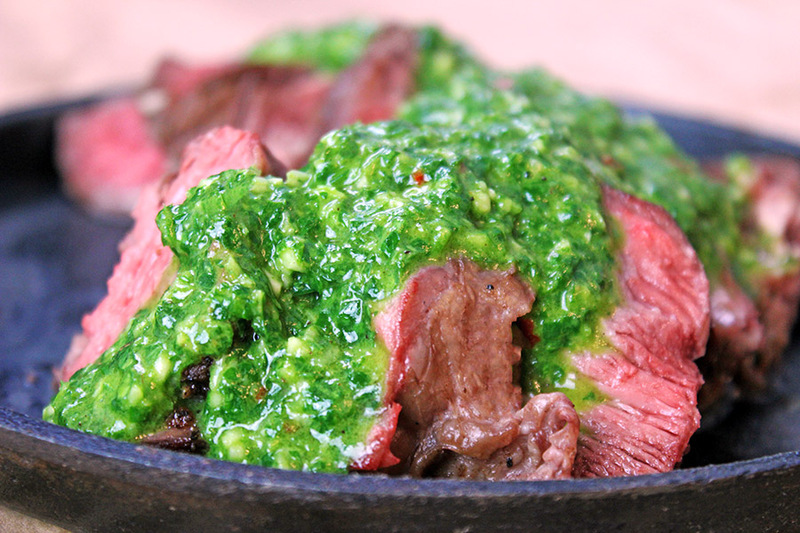 Liven up your holiday meal with bright, garlicky chimichurri. It works wonders on all meats. 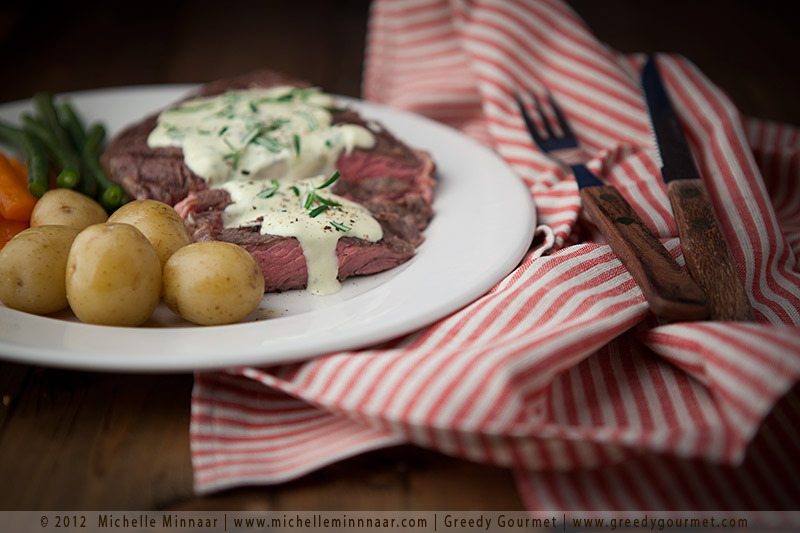 Smoky, silky chipotle béarnaise sauce is a fun play on a steakhouse classic. Try it with chicken or pork.